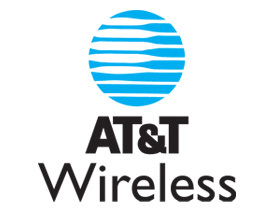 WASHINGTON–A Federal Communications Commission official who may hold the deciding vote on a pending merger between AT&T and BellSouth declined to say Wednesday whether he plans to participate in the process. Analysts scrutinizing the deal’s progression have speculated that Republican Commissioner Robert McDowell would recuse himself from the decision on whether to approve the controversial $80 billion deal. McDowell spent seven years as an executive with the trade association Comptel, which lobbies for competitors of the Bell telephone companies, before assuming the FCC post six months ago. But now that the FCC has thrice postponed its vote because the remaining two Democrats and two Republicans are reportedly at an impasse on conditions for the deal, some have said he may be forced to weigh in. Following a luncheon speech at an event hosted here by the Federal Communication Bar Association, McDowell told reporters he had “no news” to report on the deal. The U.S. Department of Justice gave its unconditional blessing to the melding of the telecommunications giants in October. As for how the agency plans to handle the hot button issue of Net neutrality, McDowell also had nothing new to offer Wednesday. Proponents of the concept, which include Google, eBay and a number of consumer advocacy groups, would like to see Congress pass new laws prohibiting network operators from charging Internet content companies extra fees for premium delivery. Telephone and cable companies have said they need the option of using such a business model to recoup investments in new broadband infrastructure. “We’re going to collect more data and study the marketplace,” he told CNET News.com. McDowell did, however, issue a vague warning to companies contemplating interference with consumers’ ability to access and upload content as they please. “Those who act to frustrate this new wave of democracy do so at their own peril,” he said. The Federal Communications Commission on Thursday delayed for a third time a vote on whether to allow AT&T to acquire BellSouth–a postponement that’s due to the commissioners’ inability to agree on conditions of the deal. The merger, which is valued at roughly $80 billion, was unconditionally approved by the antitrust division of the U.S. Department of Justice last month. The FCC approval is the last regulatory hurdle the merger must overcome before the deal closes. Before the last scheduled FCC vote on Oct. 13, the two Democratic commissioners, Jonathan Adelstein and Michael Copps, were outraged that the Department of Justice hadn’t imposed any conditions on the merger. 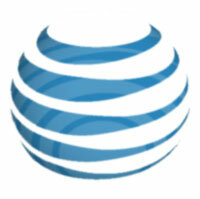 In an effort to win their votes, AT&T submitted a new proposal to the FCC prior to the scheduled meeting. The vote was postponed when the Democratic commissioners asked for more time to consider the proposal. They also wanted it to be available to the public for comment. After three weeks of public comments being submitted, it appears the commission is still deadlocked on the issue of the merger. Now, the fifth member of the commission, Republican Robert McDowell, will likely be forced to vote on the deal, several telecom experts have predicted. McDowell had recused himself from the proceedings, because prior to becoming a commissioner, he had worked for Comptel, an organization that opposes the AT&T-BellSouth merger. Several consumer groups have criticized AT&T’s proposal as not going far enough to protect competition and provide benefits to consumers. Many of the concessions AT&T proposed were simply extensions of earlier conditions put on the company from its merger with SBC. Additional concessions included a new $10 a month broadband service tier, free modems and a promise of a temporary freeze on its rates for other service providers that use its network.